Looking for acreage and a home site? Look no further. Ranch home with 3 bedrooms and 2 full baths all on one level. 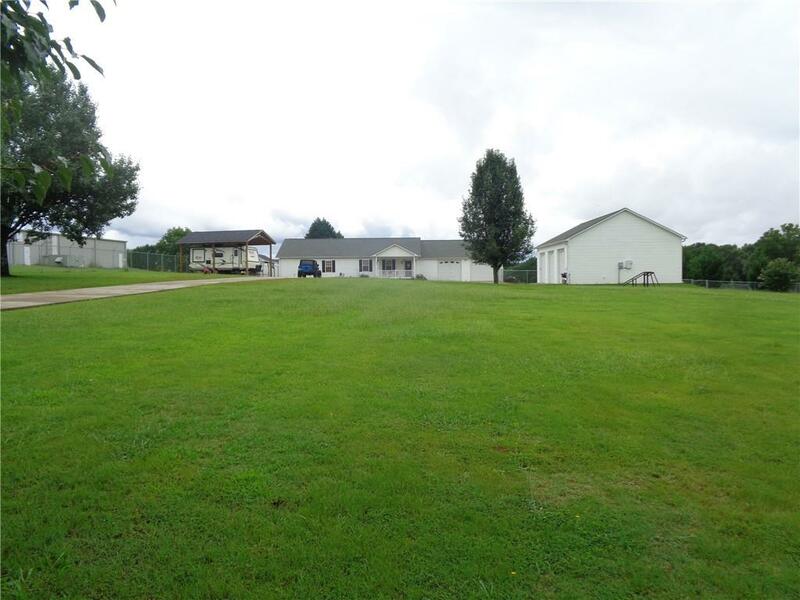 Property consist of 87.89 acres with creek. Private and abundant wildlife. No zoning. Home offers beautiful, gentle sloping, woods and a creek. Land ideal for developing, hunting or just enjoying what nature has to offer. Plenty of storage space. Two car attached garage and a three car detached garage for all those car lovers or who likes to work on cars. Shed for an RV. In-ground pool great for those hot summer days or for the kids to enjoy. Home offers a basketball pad. Great backyard with fence, ideal for entertaining or pet lovers. Great school district. Convenient to shops, restaurants, downtown Anderson, the hospital and Lake Hartwell. This property has so much potential. Prime spot for Horses, Manufacturing, Homes or Recreational.